Was Jesus crucified on a cross or a stake? 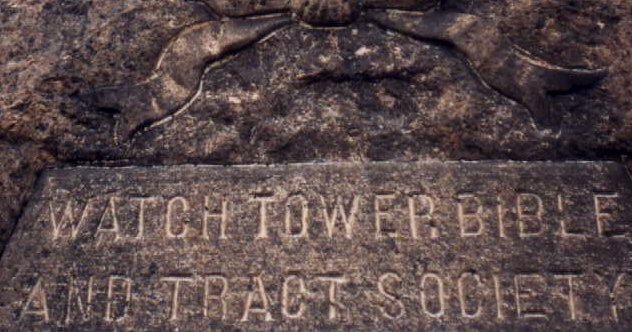 "At its inception in 1884 and for more than half a century, the Watch Tower Bible and Tract Society held the cross in high esteem. Many of the sect’s publications during these early years contained references — some with vivid illustrations — of Christ’s death upon a cross. 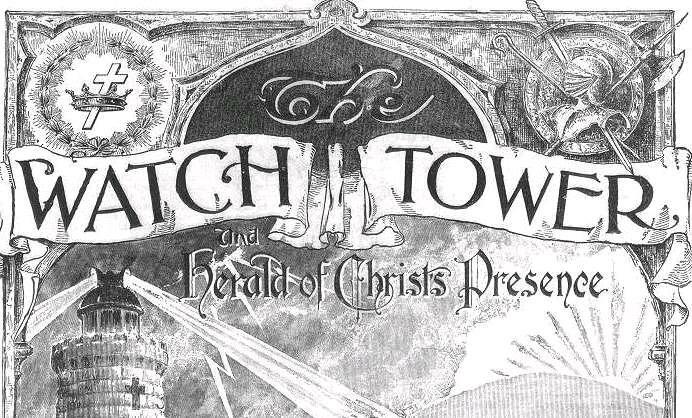 The Society’s early symbol, a cross and crown, was featured on the cover of each edition of The Watch Tower magazine. 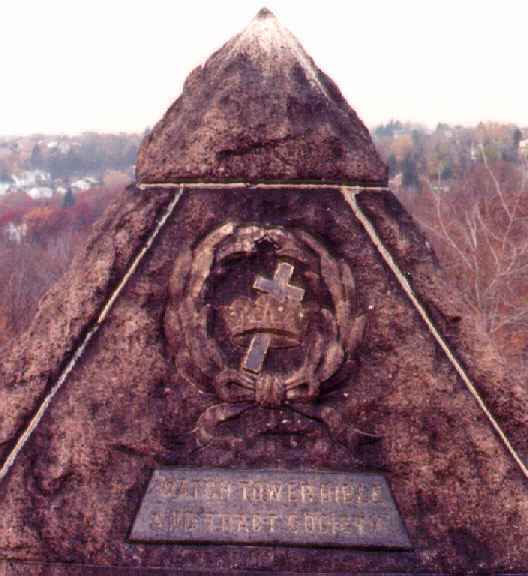 Founder Charles Taze Russell’s pyramid monument at his gravesite in Pittsburgh’s Rosemont United Cemetery bears the image (of a cross), a testimony to the Society’s former esteem of what it now calls pagan." Jehovah's Witnesses and the cross! Would any J.W. confess that their founder, Charles T. Russell, was deceived when he placed the Christian cross on each cover of his magazine for nearly 50 years? Beginning on Oct. 15th,1931, the Watchtower Society changed their stand, and began to teach that Jesus died on an upright 'stake', rather than upon a 'cross'. They teach that the 'cross' is a pagan symbol from Babylon and make this issue one of their central controversies with the Christian Church. In support of their viewpoint, we find in the KINGDOM INTERLINEAR TRANSLATION OF THE GREEK SCRIPTURES (KIT), some rather obscure sources have been quoted, making it difficult for their members to verify these 'facts'. In the KIT article (pages 1155-1157) we find their reference to a book written by a 16th century, Catholic scholar, named Justus Lipsius. 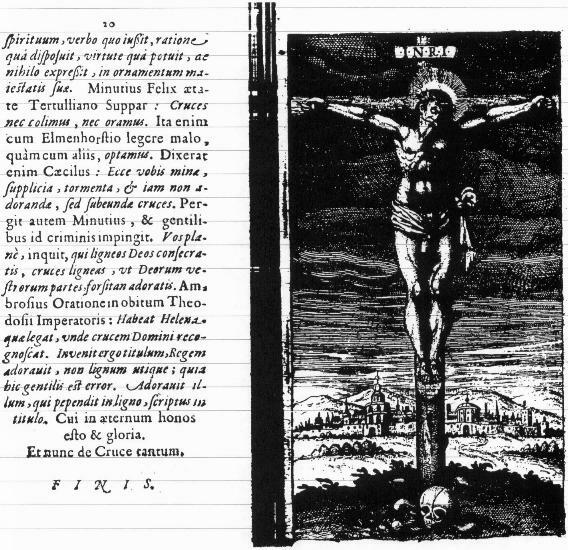 His book DE CRUCE LIBER PRIMUS, page 647, featured the picture of a man who had died on an upright stake. In their article, the Society implied that this is how Lipsius believed Jesus died with their statement, "This is the manner in which Jesus died." However, one of the pages in this book has been translated and shows that Lipsius believed that Jesus died on a cross. Lipsius is quoted as writing on page 650 'In the Lord's cross there were four pieces of wood, the upright beam, the crossbar, a tree trunk (piece of wood) placed below, and the title (inscription) placed above.... they hand down (this account by) Irenaeus: ' The construction itself of the cross has five ends; "two on the vertical and two on the horizontal, and one in the middle where the person attached with nails rested." 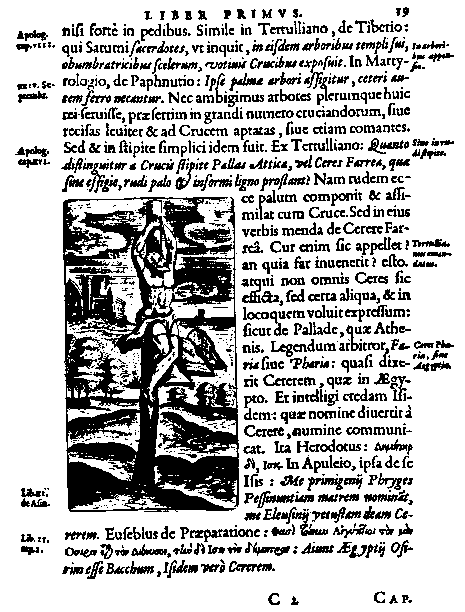 In reviewing Justus Lipsius' De Cruce Liber Primus, there are several different illustrations of methods of crucifixion noted. The Watchtower takes the liberty of specifically noting one of these methods showing a man on a stake, and writes "This is the manner in which Jesus died." 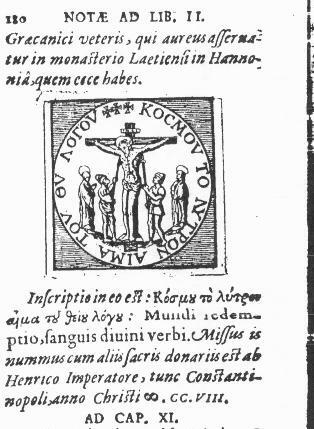 This would cause the reader to believe that Lipsius himself had quoted that Jesus was crucified on a stake. Lipsius never quoted the words "This is the manner in which Jesus died" with the picture of the man on the stake, clearly revealing another deceptive move by the Watchtower. This page is quoted as saying: "Nor do we doubt that trees served very often for this purpose, particularly in a great number of crucifixians, either pruned lightly and adapted to a cross, or even leafy." 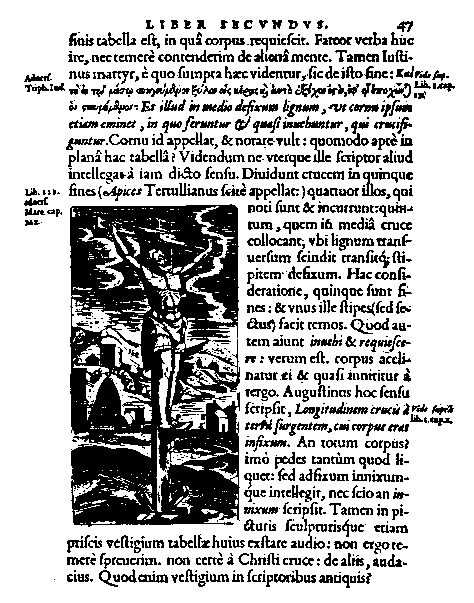 This page is quoted as saying: "In the Lord's cross there were four peices of wood, the upright beam, the crossbar, a tree trunk (piece of wood) placed below, and the title (inscription) placed above." The question remains, since the idea that Christ died upon a cross is of ancient knowledge, "What significant evidence does the Watcthower have, to confirm, without a questionable doubt, that Christ died on a stake instead of a cross?" Even if we were to entertain the Watchtowers claim that the symbol of the cross was a pagan symbol of Babylon prior to Christ's crucifixion, would this prohibit the historical fact that Christ died upon a cross? I challenge any and every J.W. with this question... If you should approach any individual on the street, and show them a cross, and ask the person what it represents, how often will an honest person declare that it reminds them of anything other than Jesus Christ? 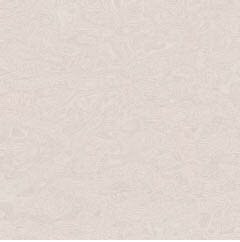 A cross on a church building, declares only one thing to everyone who sees it, that the people of this place, are Christian, followers of Jesus Christ! Only those whose minds have been warped, would look at it and declare that these people are "pagans" worshipping "Babylonian gods!" Only in the mind of the J.W. is this idea being imparted! The JW who falls for this error, must then, honestly confess that the founder of the Watchtower group, Charles Taze Russell, also promoted the symbol of "Pagan god's" even to his grave, and places the entire Watchtower group under suspicion of following a false prophet! 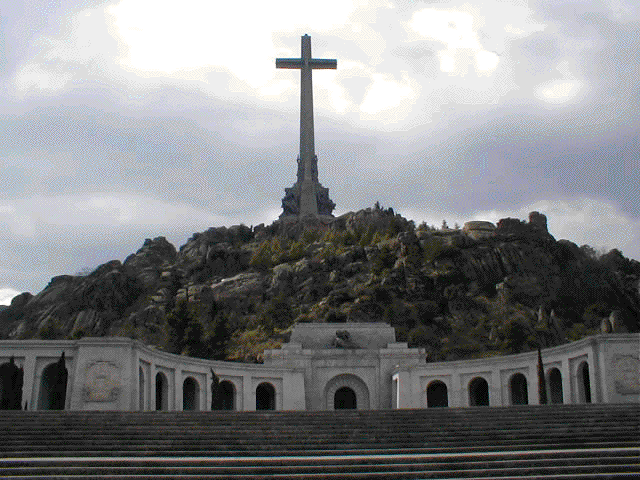 Whereas the Watchtower wishes to burden the Christian to produce evidence that Christ died upon a cross and destroy the symbol that represents Christianity, a symbol that can boldly be shown to the world, I contend that the burden of proof that Jesus did not die on a cross lies upon the shoulders of the Watchtower. If Justus Lipsius is their source, they don't have a leg to stand upon! In Christendom the cross represents Christ's victory over death and sin, since it is believed that through His death he conquered death itself. Contrary to Watchtower teachings, Christians do not worship the "cross" anymore than a J. W. worships a "stake!"